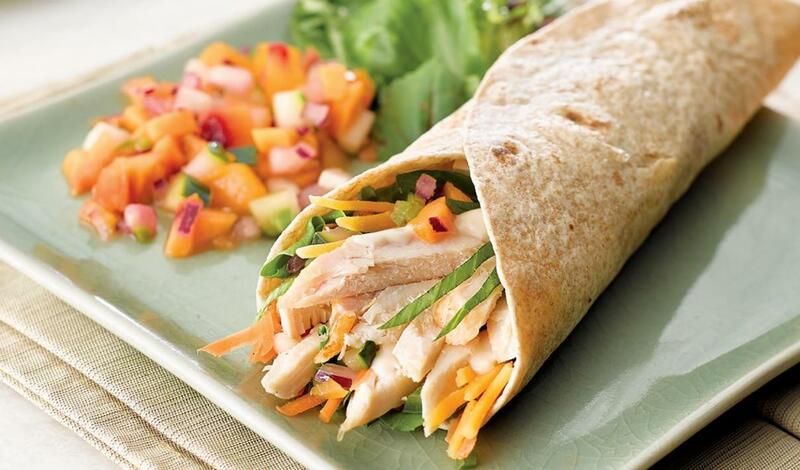 A cool and spicy chicken wrap that's perfectly sweet. On a whole wheat tortilla, smear one side with Maple Mayonnaise (sub recipe below). In the middle of the tortilla place chicken, cheddar cheese, carrot, lettuce and Cucumber Peach Salsa (sub recipe below). Combine the Hellmann's®Half the FatMayonnaise with maple syrup; reserve.